New York (TADIAS) — Difret is opening in several U.S. theatres this Fall kicking off with a screening at Lincoln Plaza Cinemas in New York City on Friday, October 23rd. The award-winning Ethiopian film, which premiered at the Sundance Film Festival, also opens in the Washington, D.C. metropolitan area at AFI Silver (Silver Spring, MD), and on the West Coast at San Diego’s Digital Gym on October 30th, 2015. The NYC opening weekend includes Q&As with the real-life inspirations for Difret, Meaza Ashenafi and Aberash Bekele, as well as Tizita Hagere (the actress who plays Hirut), Director Zeresenay Berhane Mehari, and Executive Producer Julie Mehretu in conversation with Marcus Samuelsson. 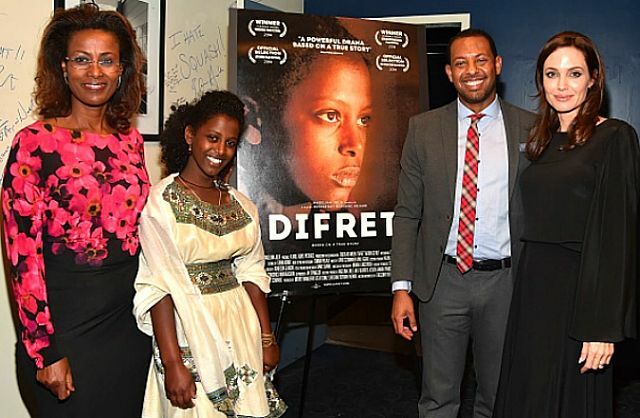 DIFRET release trailer from Tambay A Obenson on Vimeo. The Box Office opens 20 minutes before the first show.